Of all the Mexican sauces, mole is perhaps the most famous. Many people think this is a chocolate sauce, but while it does include chocolate, it only adds a rich and deep flavor without overpowering it. In addition to chocolate, it has other spices -- including sweetness brought in by dried fruits. Raisins are often the most popular choice, but the recipe that follows swaps those out for cranberries for a bit of brightness and zip. Typically the chocolate that is included is added right at the end, but that can be a pain when you just want your sauce to simmer in the slow cooker all day. Instead, this recipe places all the sauce ingredients into a food processor and the resulting mixture gets poured all over fatty and juicy chicken thighs. 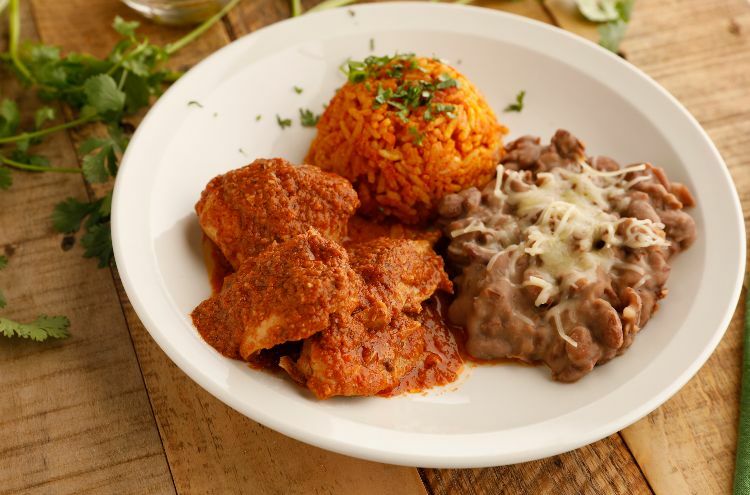 These do better in a slow cooker than chicken breasts, and you can even shred them after if you choose so that every single bite gets covered in your delicious mole sauce. Season chicken thighs with salt, then place in the bottom of a 6-quart slow cooker. Place the rest of the ingredients into a blender and puree until smooth. Pour over chicken in the slow cooker. 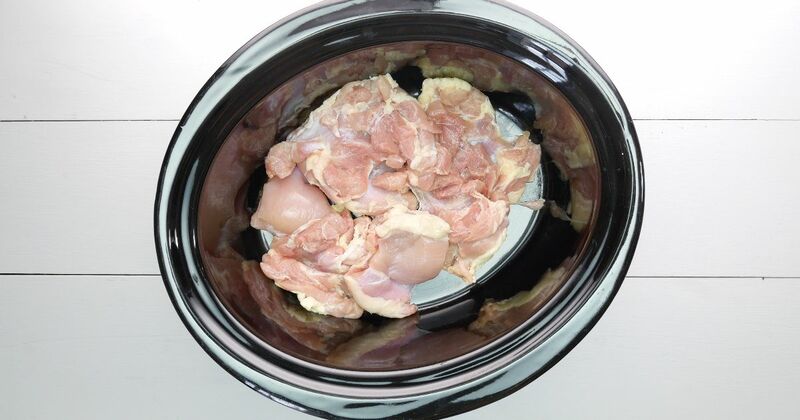 Remove chicken from slow cooker and shred, if desired, before placing chicken pieces back into the slow cooker. Alternatively, remove the whole chicken pieces and top with sauce.